I cut the bevels the opposite of my intentions and the clear chalk marks. How does that happen? Life mysteries. 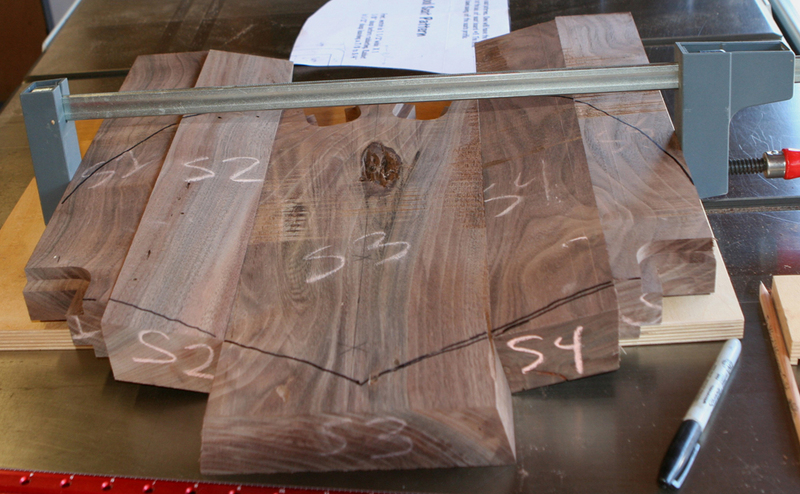 S3 and outer edge of S2 and S4 receive bevels to roughly create a deep saddle. Like any prudent craftsperson, I marked the bevel orientation with highly visible chalk marks and then proceeded to ignore those markets. 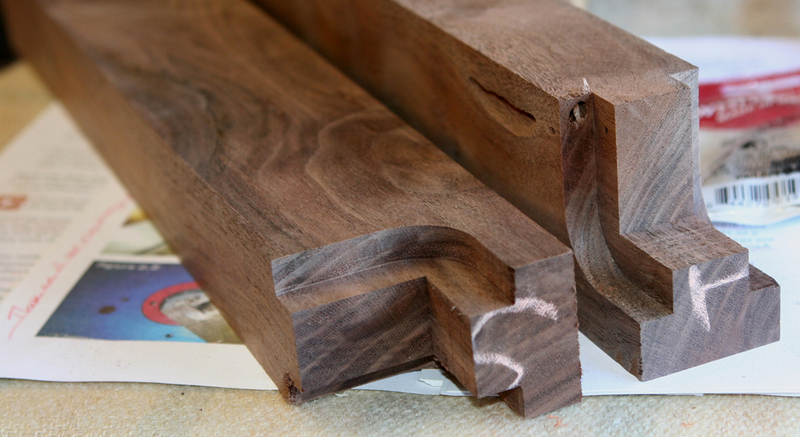 Cutting the bevels opposite my intended orientation. A solution was to flip the underside to the topside. 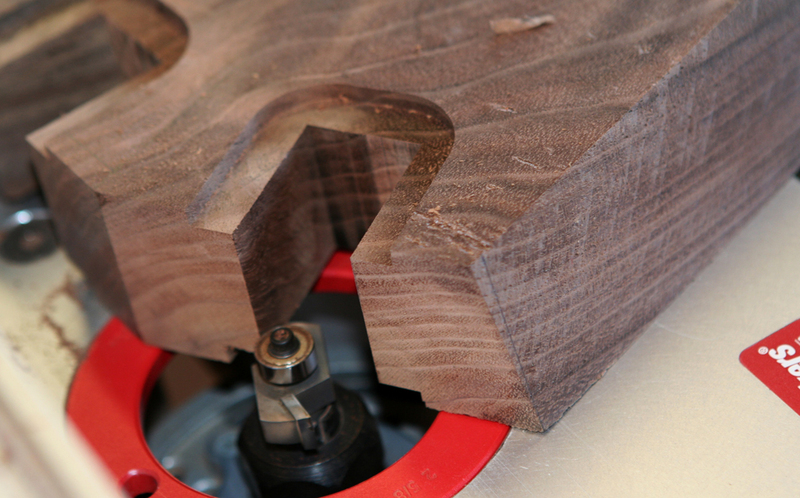 Besides the grain being different than I had chosen, the new top side has a large funky area that I had determined would be a non-issue on the underside. Hopefully, it does not go deeper than my planned sculpting. This is not the first time I’ve messed up bevels. 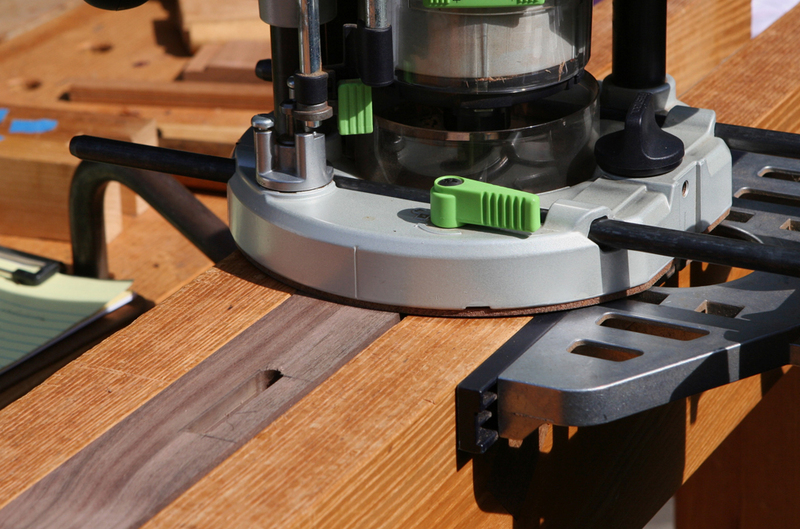 I guess bevels at the table saw befuddle my brain. S2 and S4 also receive the bevels on the outer edges. Those went as planned. 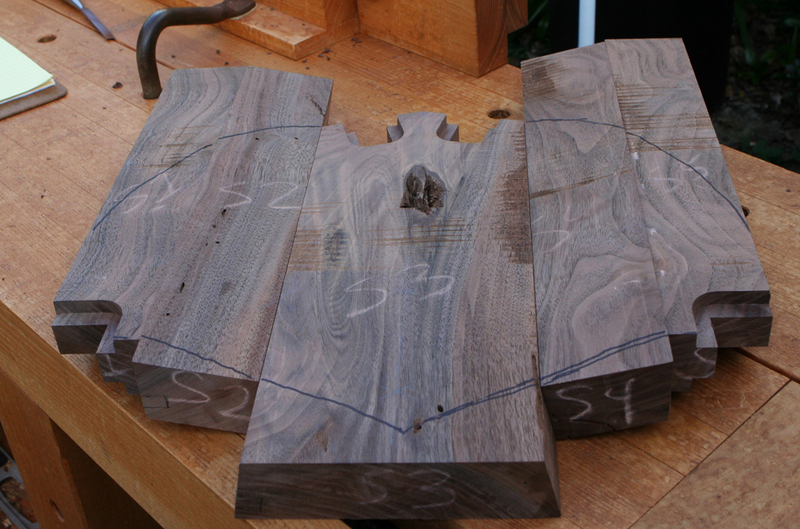 Notches for the saddle joints at the rear of S3 and forward, outer corners of S1 and S5 were cut with the dado stack. 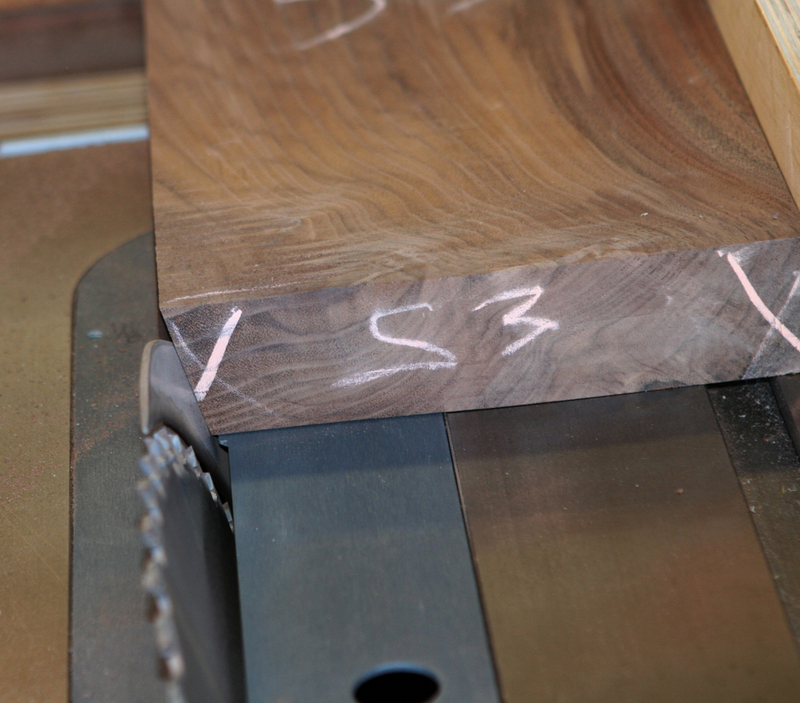 The S3 notches required holding the workpiece vertical, however the generous flat combined with thick stock made this feel secure enough for my standards. The dado stack was set up for 3/8-inch bites so I nibbled to the layout lines. 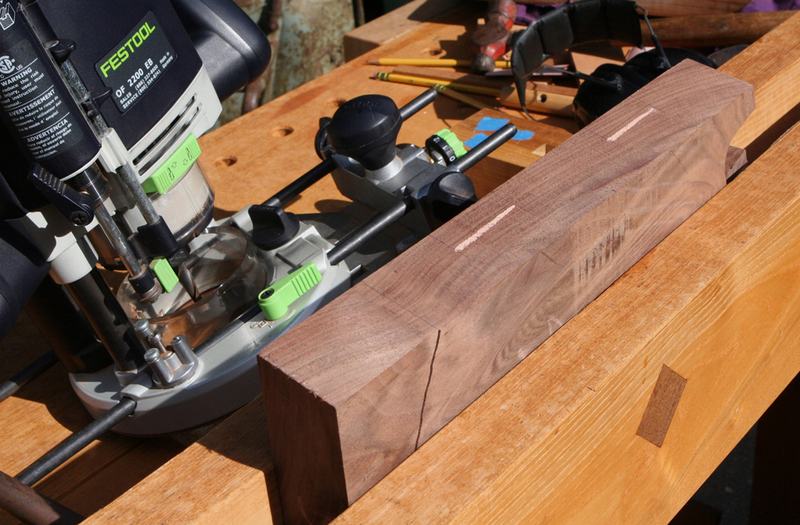 Mortises were cut with a 3/8-inch spiral uncut bit. 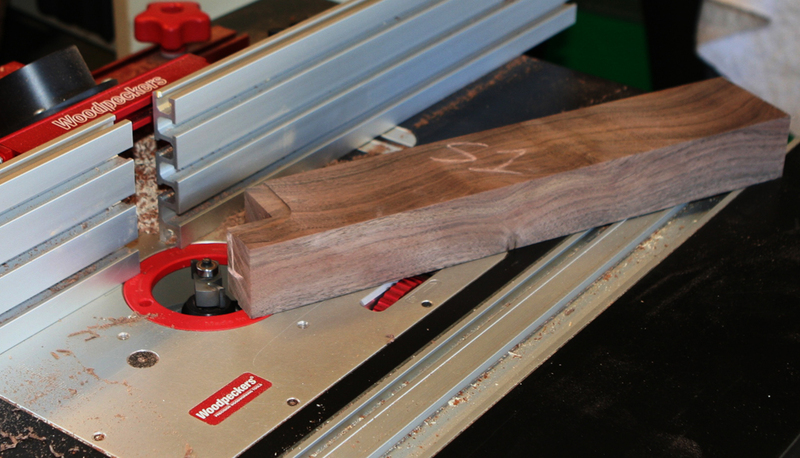 A jig would be appropriate, but I chose to balance the router on the workpieces as best I could. 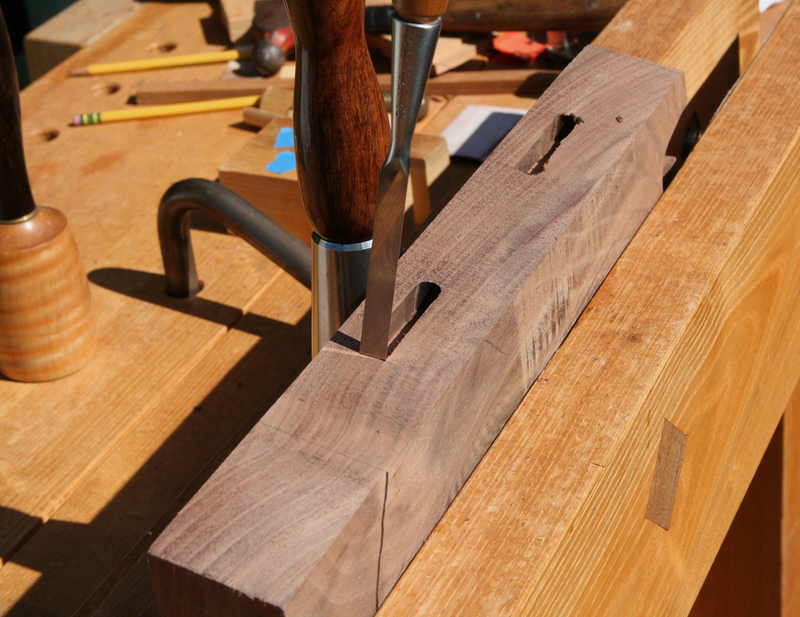 Those on perpendicular edges were captured flush on the Moxon vise for solid support. 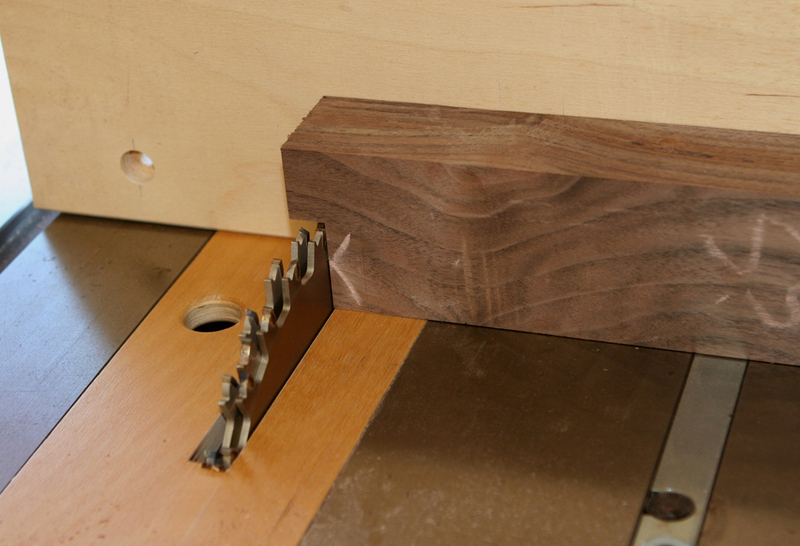 The bevel edges were trickier. 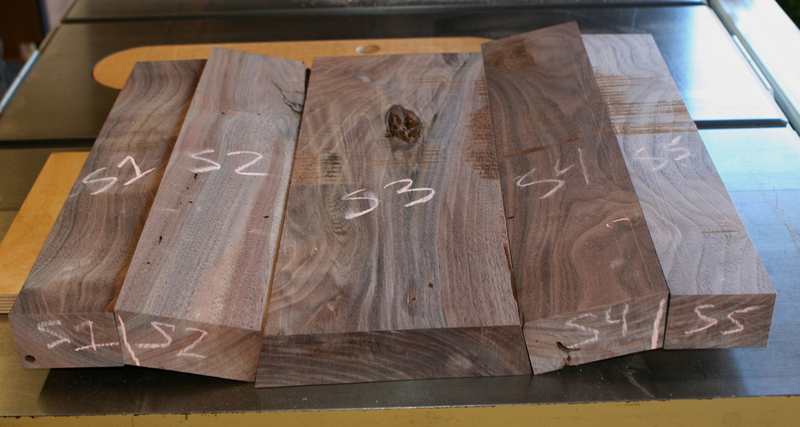 I did the first ones using the end vise and battens. 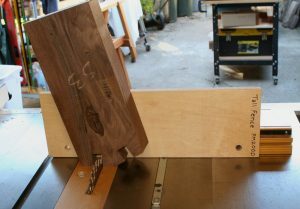 Subsequent ones were placed proud in the Moxon which felt more secure and at a better work height for the task. The mortises were squared up with a chisel and the seat dry assembled with floating tenons and a rough shape was drawn with black marker. Next up are the legs.